Hi friends! Welcome to the party! Thank you so much for stopping by to party and share with us this week. Wow, there were so many awesome posts last week. 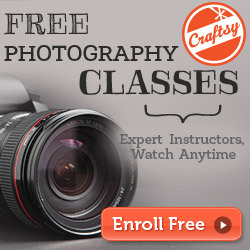 I thank you so much for sharing your fabulous talent with us each week. I hope everyone is having a great weekend. We are gearing up for stormy weather this afternoon. I'm just hoping it breaks up before it gets here! 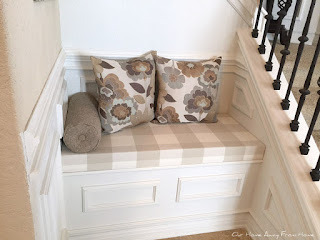 I love this DIY bench created by Home Away From Home for a seating area near their stairs. It looks amazing! Lolly Jane shared this adorable Valentine's Day mantel. 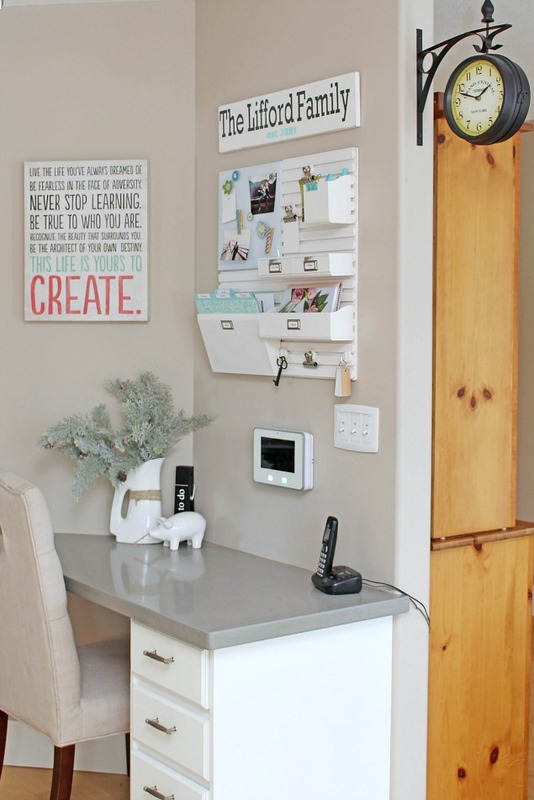 Clean & Scentsible shared her awesome Kitchen Command Center. Worthing Court shared her gorgeous snowy winter mantel. 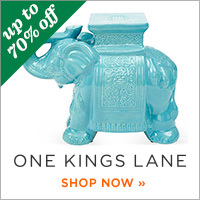 Check out all the details up close! 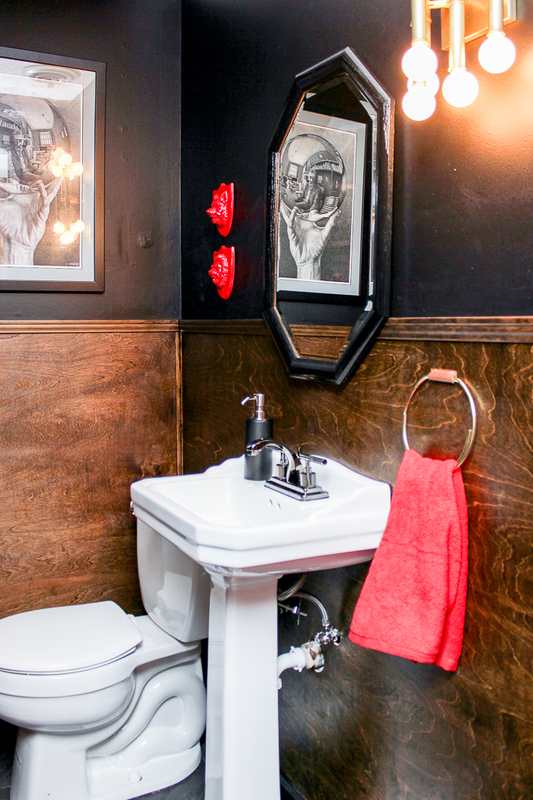 Wow, Rain on a Tin Roof did an amazing job on this half bathroom remodel! Don't miss the before photos. 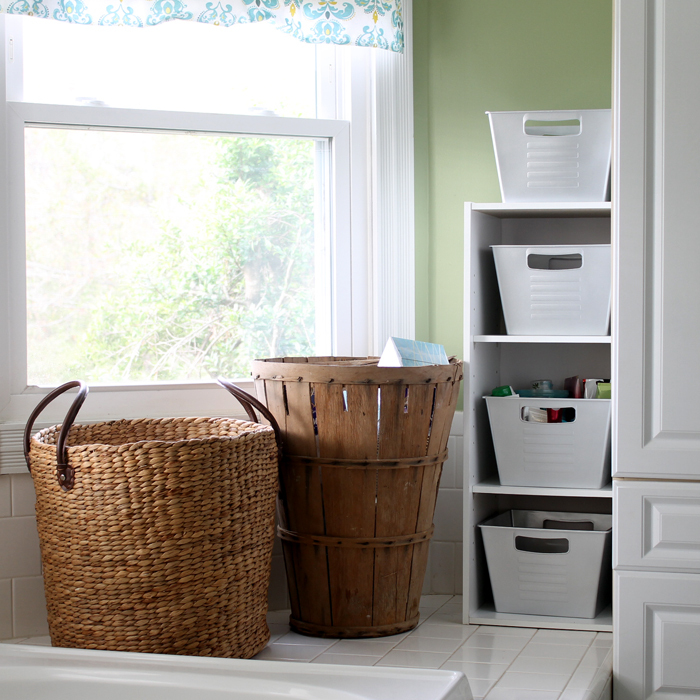 The Country Chic Cottage shared a great way to make a great organization bin using Dollar Store bins. Building Our Hive shared this awesome hope embroidery hoop decor. It looks fabulous framed! Bluesky Kitchen shared some really cool ways to make cute pen holders with Washi tape. 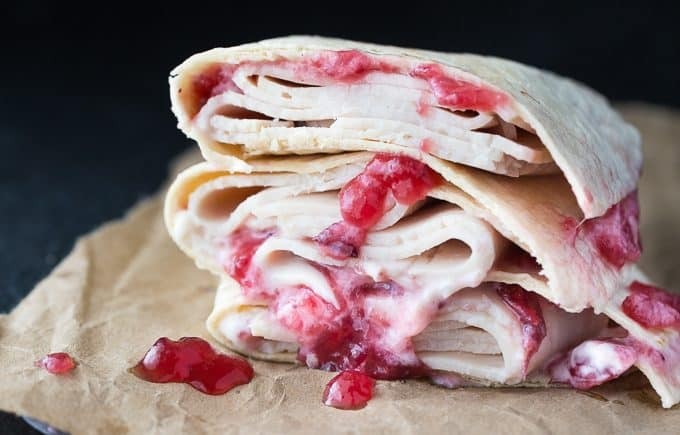 My mouth is watering for these Turkey Cranberry Quesadillas by Simply Stacie. My Suburban Kitchen shared her Easy and Light Chicken Salad recipe. Busy Being Jennifer shared these Honey Apple Cinnamon Overnight Oats that sound so yummy. 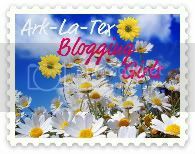 Paint Yourself a Smile is the featured blog this week. 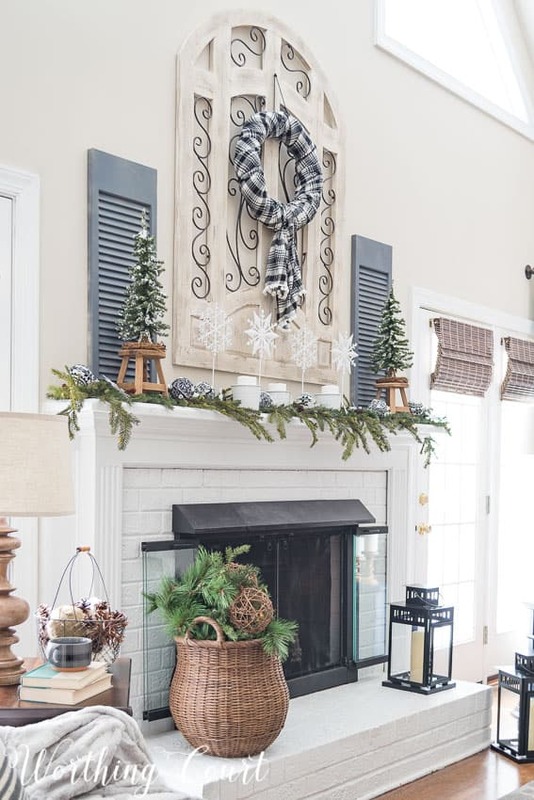 Check out her gorgeous, cozy pom pom garland winter mantel in the above photo, and all of her great home decor and crafts. Thank you Kathy for Bouquet of Talent 229, appreciated. Hi, Kathy! Hope you're having a wonderful weekend! Thanks for hosting! 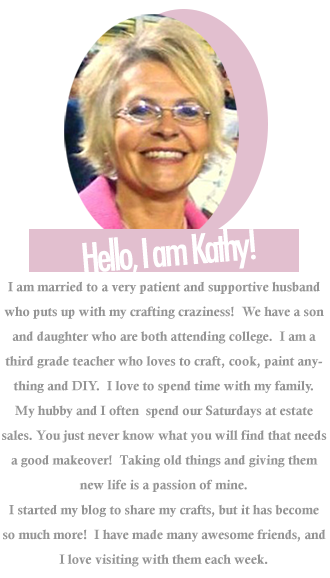 Kathy, thank you so much for featuring Paint Yourself a Smile. Your party has so much great inspiration Kathy! Thank you, as always, for hosting us. Thanks for the party, Kathy and hope you had a great weekend! 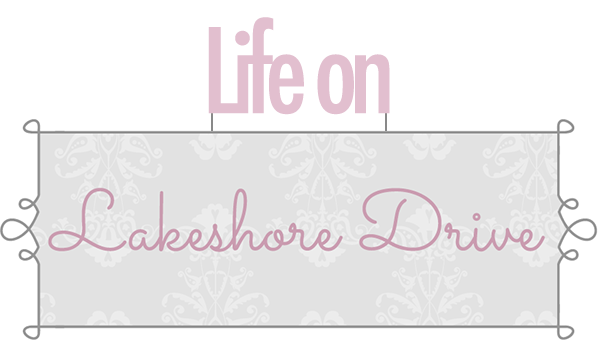 Thank you for hosting and for featuring our HOPE embroidery! We were so excited to see it here Kathy! Have a great week!